The Kickers SC Training staff conduct Little Kickers Training sessions. Your Players' First Steps with the Ball -- Have FUN and learn the game! These sessions are an introduction to the beautiful game using a FUN learning environment for the players to learn basic techniques with the soccer ball. The sessions are taught using the ADVENTURE Soccer theme and focus on as many touches on the ball as possible. 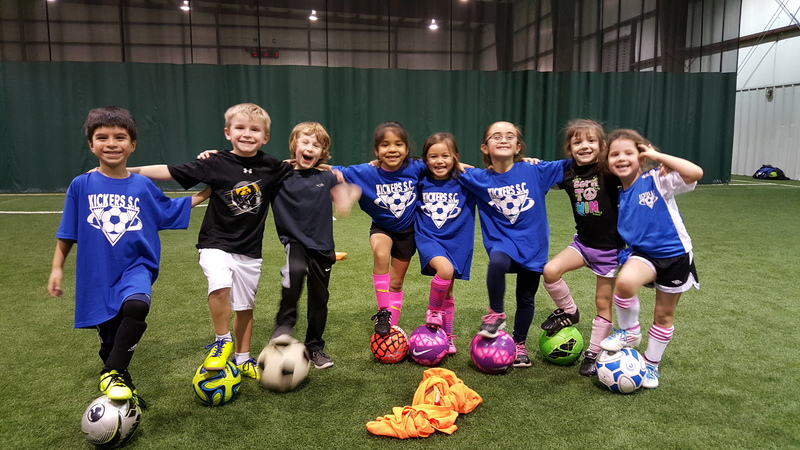 The Kickers SC believes teaching the players the correct techniques at an early age will foster a love for the game and instill the importance of becoming a master of the ball. Ages 7 to 14 8:30 a.m. to 11:00 a.m.